Yale University Press, 9780300076615, 288pp. The Virgin Mary has been an inspiration to more people than any other woman who ever lived. For Catholics, Protestants, Jews, and Muslims, for artists, musicians, and writers, and for women and men everywhere she has shown many faces and personified a variety of virtues. 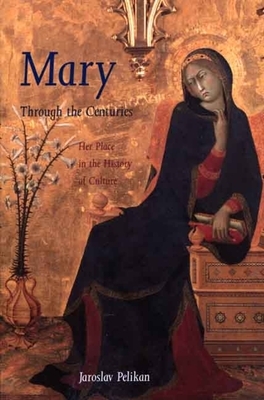 In this important book, a world-renowned scholar who is the author of numerous books—including the best-selling Jesus Through the Centuries—tells how Mary has been depicted and venerated through the ages. Was Mary human or divine? Should she be revered for her humility or her strength? What is her place in heaven? Whatever our answers to these questions, Mary remains a symbol of hope and solace, a woman, says Pelikan, for all seasons and all reasons. Jaroslav Pelikan is Sterling Professor of History Emeritus at Yale University. He has received honorary degrees from universities all over the world, as well as medals and awards from many scholarly societies and institutions, including the Jefferson Award of the National Endowment for the Humanities, the highest honor conferred by the U.S. government on a scholar in the humanities. He is currently president of the American Academy of Arts and Sciences.